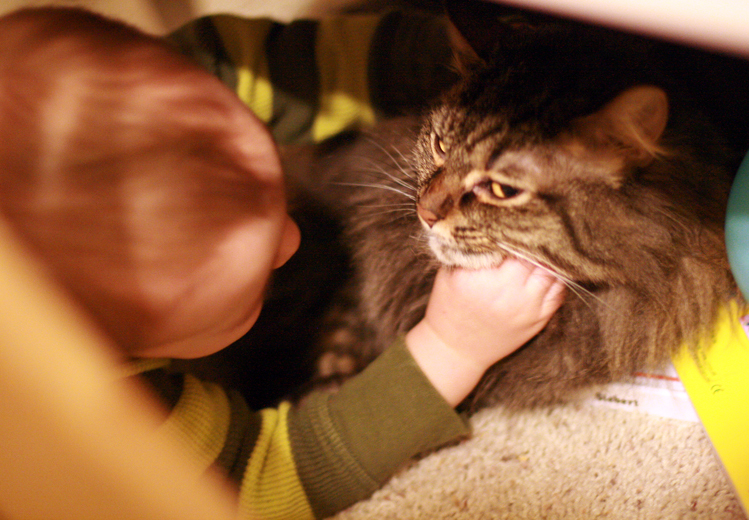 Pets might not mean the same thing after children. Whatever family pet you get is your responsibility. No matter what your older kids promise you, expect that you'll be supervising and maybe taking over care of any pets that come into the family. I've heard horror stories of parents "teaching kids a lesson" by letting neglected pets die, and I'm just going to assume no one here would be so cruel to both an animal and a child. 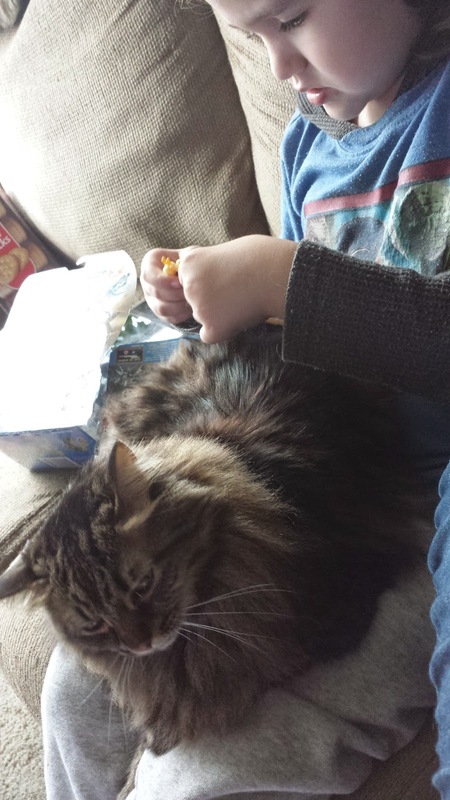 I know as a kid, my brother and I swore up and down that we would care for our own kittens — but my dad ended up doing the bulk of the feeding and scooping unless we were reminded — often (and, to his credit, he did it without complaint). I did have a friend who successfully cared for her own hamster as a preteen, so it is possible to transfer responsibilities, but you're still going to need to set expectations, check that they're being carried out appropriately, and be prepared to take over if needed. 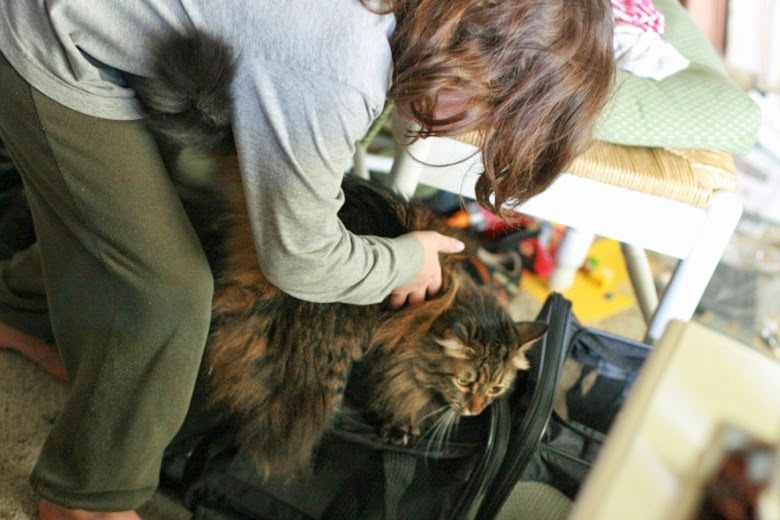 Even if a tween or teen child is competently caring for a pet, consider that such children might age out of your home before the pet does — when I went off to college, my dad was now sole care provider for my cat. My rule for our family is we don't get pets I don't want to care for. This is why we don't have a dog. We live on a second-floor condo, and I know I'd be the lucky one walking the dog twice a day, rain or shine, and scooping up warm poop with my baggied hand. No, thank you! Not until and unless we ever have a yard. Find child-appropriate tasks that work for your kids. Pets can teach kids about aging and death. Speaking of downers, animals tend to age faster than humans, and sometimes they catch diseases or have accidents or other complications that are untreatable. If you have pets, you're opening the door to frank talks about getting older and dying, and some potentially heartbreaking moments. Mrs. Pim died when Mikko was three and I was pregnant with Alrik, and that led to many (good yet hard) discussions about illness and death that continue to this day, three and a half years later. Sometimes pets have to be rehomed due to incompatibilities with other residents (allergies, aggression, etc. ), and that can be a difficult process as well. I still remember all the pets' departures from my childhood, and each one was a small trauma. But my parents were there to help me through them, as you can be for your kids. 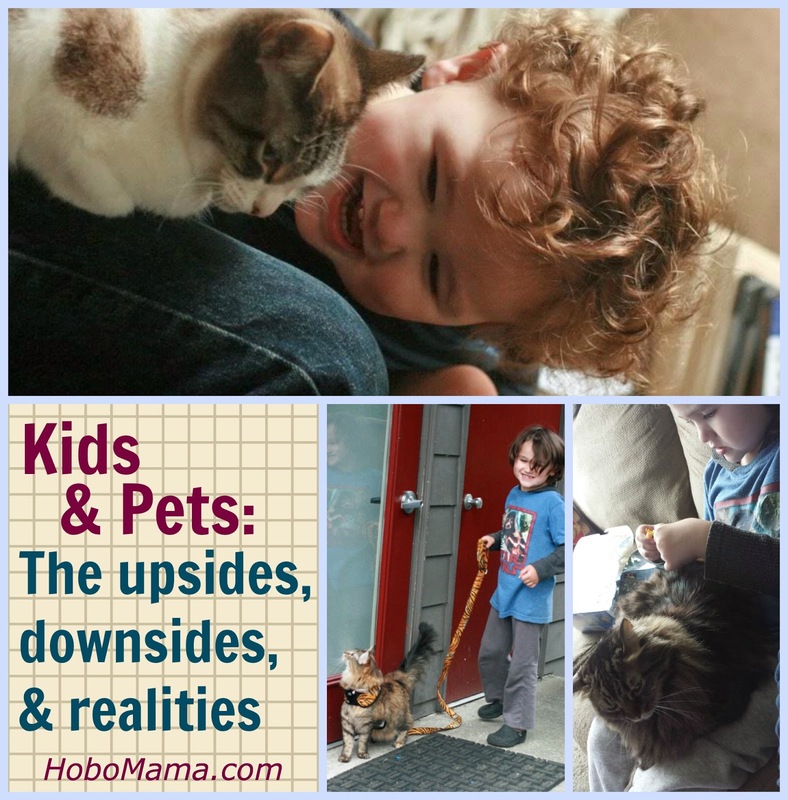 What have your experiences been with kids and pets, either as a child or as a parent? Tips on Picking the Perfect Kid-friendly Dog — Lactating Girl at The Adventures of Lactating Girl shares some tips she's learned on how to find the perfect child-friendly dog for your family. All New Animals Are "Woof" — Baby Boy is still learning animals. Life Breath Present doesn't yet have any at home, but he still believes that all animals are "woof." Here's the proof. Dude, where's my Horse? — Adora loves horses, but Erin at And Now, for Something Completely Different really doesn't. However, Adora's longing wins out; learn about their interactions with horses here. Parenting Challenge--Learning from Animals--running the emotional gammut — Survivor at Surviving Mexico writes about the emotional learning her family has experienced through sharing their lives with animals. Puppy Love for our Family — In case you didn't catch it from the blog title, Pug in the Kitchen, the family pet is an integral part of Laura's family and home life! Vegetarianism and Animal Rights: Explaining to Children — Becca at The Earthling's Handbook is mostly vegetarian...not 100%, and not because of animal rights...yet she has found that the idea of not hurting animals is the aspect of vegetarianism most easily understood by a young child. She explains what her son has learned about not eating meat and how it has affected his social life. It's not our house without a dog! — Amy at Me, Mothering, and Making it All Work describes why giving a loving and disciplined home to at least one shelter dog at a time enriches the life of her family, and has become a vivid memory in the minds of her children. Beanie's Bunnies — Our Mindful Life's Sofi Bean has gotten her first pets! 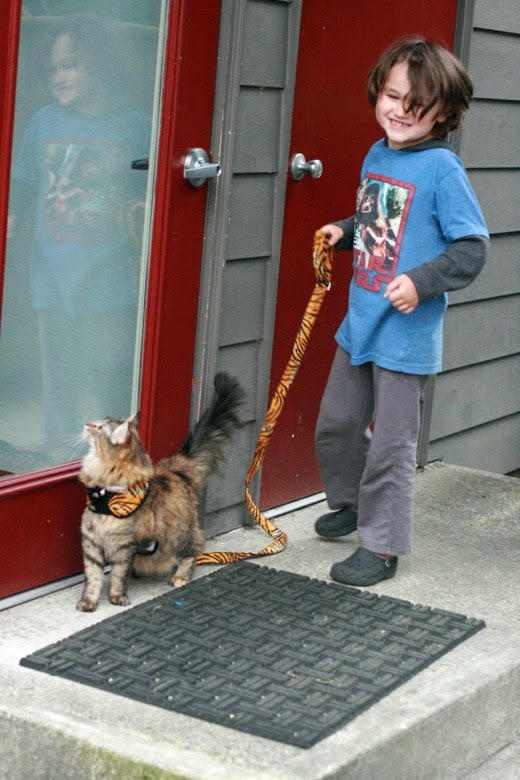 How to Nurture Your Child's Awareness of Spirit Guides — Jennifer at Hybrid Rasta Mama hosts a post from her regular contributor Lauren of SpiralElixir.com. Lauren looks at the concept of animals as spirit guides and how deeply children are connected to this realm. She also encourages us to open ourselves up as parents to the reality that children are naturally more connected to the animal world, giving us ideas on how to nurture their relationships with their Spirit Guides. Year of the Pets — Jorje of Momma Jorje wasn't sure she ever wanted pets again, but things have changed a lot this year! 3 Reasons Why Keeping Backyard Chickens is Good for my Toddler — Bianca, The Pierogie Mama, started keeping backyard chickens for the benefit of their eggs, but what she wasn't prepared for was what they would teach her two year old daughter too. Pets ARE worth it. Every poop picked up, every snotty sneeze right when you open your mouth to eat, every codependent whine when you leave for the market. I couldn't imagine our lives without animals... even the scores of birds who come to visit our bird feeder! I think my introverted self needs the quiet companionship that accepts me without explanation. and Loves my babies... even it is mainly because they have the food. I've been super pleased with how much the kids have taken on responsibility for Hans. Ailia feeds him just about every meal (this is also part of my plan to make sure Hans knows that Ailia is also one of his pack leaders), and Kieran takes him outside to potty a *lot*. They also help me brush him, and they're taking part in his training. It has been awesome!! We love all taking part in caring for our dog, Mya. It teaches the kids personal space, to care for others, kindness, responsibility, discipline, and best - LOVE. Pets aren't for everyone, but they certainly are for us. I agree! Pets are worth it. Pets can add so much to life and they certainly are avenues of so many life lessons with children. Great points! We had two gerbils when our son was 3-6 years old, and he was devastated when they died--both in the same week, possibly because they were brothers and the survivor was so traumatized by being alone. 3 years later he is still sad about it occasionally. 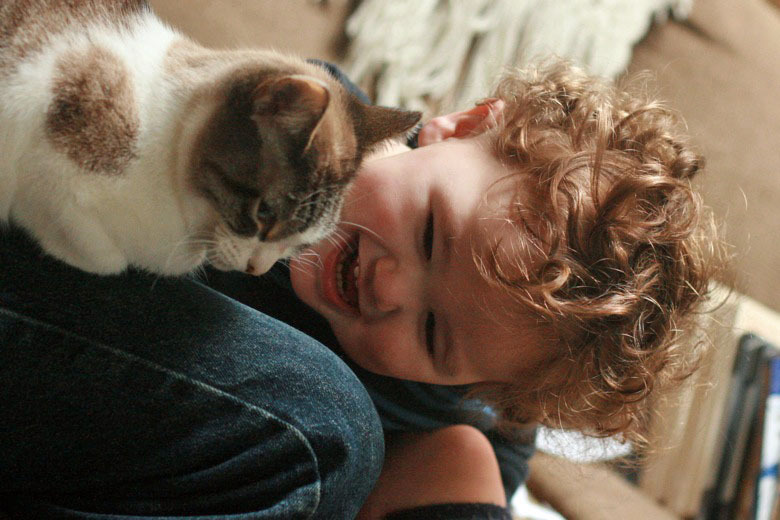 He'd love to have a cat now, but neither parent wants to take care of a cat--too smelly at both ends! As you said, parents have to be prepared to do a lot of the pet care. We would rather have a rabbit (as we did before our son was born) but with a new baby, we aren't ready now. @Laura: Ha, your second sentence is cracking me up! Yes. I love, too, that dogs will attach to kids who drop food. ;) That's certainly how mine came to love me when I was a kid! @Crunchy Con Mommy: Yeah, ask your parents — ha ha! @Dionna @ Code Name: Mama: That's a great idea to have Ailia help feed Hans! I'm so glad to hear the kids have really bonded with their new puppy. @Kellie Barr: Yes, it really can be necessary to rehome when there's aggression like that. I remember friends who had to rehome a beloved dog (fortunately to a sister of the husband) when their kids developed severe allergies. Things happen, and kids have to come first. @LB Present: It does stretch your love in all directions, doesn't it! @articles: We had brother gerbils who did the same thing! One died, the other moped for a week and then seemingly died of a broken heart. That's one of my fears of adopting a smaller pet — the smaller lifespans that go along with that. 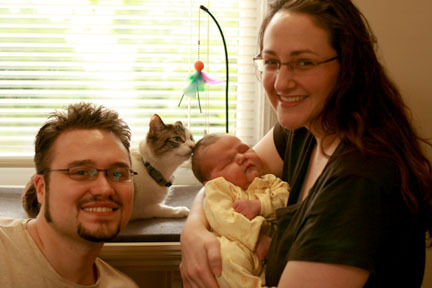 I agree about waiting till you're through with the bulk of new-baby care before taking on another baby animal! A rabbit will be fun, though, when you're ready. I feel the same about waiting for my hedgehog, though Mikko's less patient about it, heh. A great list to consider when getting a pet! I especially liked your comment that animals have personalities just like humans. This makes human-animal interaction tricky sometimes. Both of our dogs recently died within six months of each other, so we are currently dealing with the painful reality of pets. Joe learned, very suddenly, with no gradually growing awareness, that everyone dies, and it's a tough realization for anyone, let alone a five year old! He is now asking how many days until I die, and will I be sad when he dies? I know we will get another dog at some point - it's so strange not having a dog in the house! Anyway, yes, pets. It is lovely and sad, just like real life.